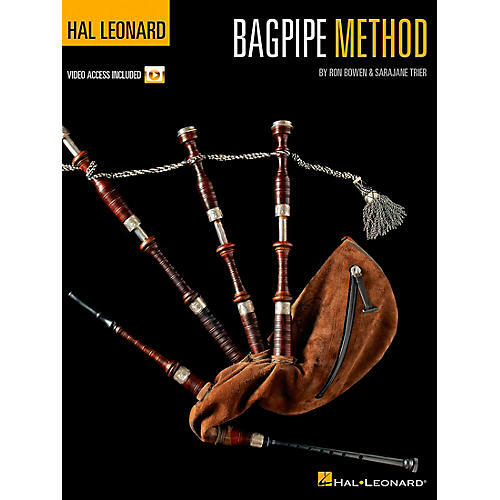 The Hal Leonard Bagpipe Method is designed for anyone just learning to play the Great Highland bagpipes. This comprehensive and easy-to-use beginner's guide serves as an introduction to the bagpipe chanter. The accompanying DVD includes video lessons with demonstrations of all the examples in the book! Lessons include: the practice chanter, the Great Highland Bagpipe scale, bagpipe notation, proper technique, grace-noting, embellishments, playing and practice tips, traditional tunes, buying a bagpipe, and much more.